Riviera Nayarit Mexico Blog: Nominate The Riviera Nayarit In The Food And Travel Reader Awards! Nominate The Riviera Nayarit In The Food And Travel Reader Awards! Vote for your favorite hotels, restaurants, spas and chefs in the Riviera Nayarit and be entered for the chance to win an all-expenses paid trip to Peru. Now in its fourth year, the Food and Travel Reader Awards has begun the first stage of nominations, which is why the Riviera Nayarit Convention and Visitors Bureau is extending an invitation to nominate your favorites in Mexico’s Pacific Treasure for the win. The nominations phase ends July 28, 2017. Voting will be open from August 7 – October 20 to pick the winners, which will be announced during the gala dinner to take place in Mexico City. The Riviera Nayarit and its hotels offer fantastic options within the Travel category for Best Destination in Mexico, Best Beach Hotel in Mexico, Best Hotel in a Magical Town (Sayulita), Best Eco Hotel in Mexico and Best Spa. In the Food category, Chef Betty Vázquez, Culinary Ambassador for the Riviera Nayarit, is a firm candidate for Best Chef. Meanwhile, Chef Marco Valdivia is in line for Best New Chef. Both of these stars’ restaurants are among the top 120 Best Restaurants in Mexico, published by Food and Travel. Other options where the Riviera Nayarit can shine as a nominee include Best Restaurant in the Interior of the Republic, Best New Restaurant in Mexico, Best Gourmet Space in Mexico, and Best Sweet Space In Mexico. This year Food and Travel included three new categories: Best Hotel Restaurant, Best Spa, and Best Loyalty Program. Once travelers vote they’re automatically entered into to win a trip to Peru to visit Lima, Cuzco and the Valle Sagrado. 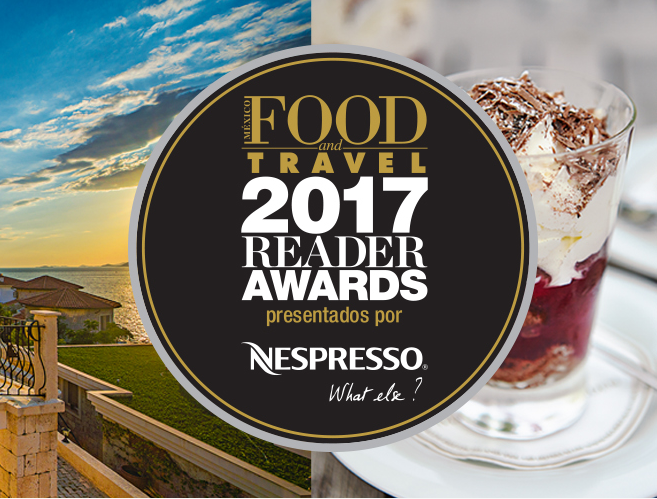 Vote here: http://foodandtravel.mx/awards/.